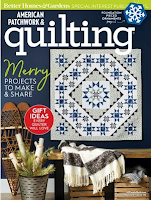 Have you seen these two quilts featured recently in magazines? 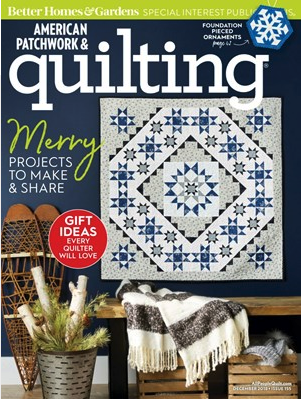 We love the modern feel of Cherry Guidry's "Jolly Good Night" quilt using her Let It Snow prints, shown in the December 2018 issue of American Patchwork & Quilting. Click here to see the Let It Snow collection. 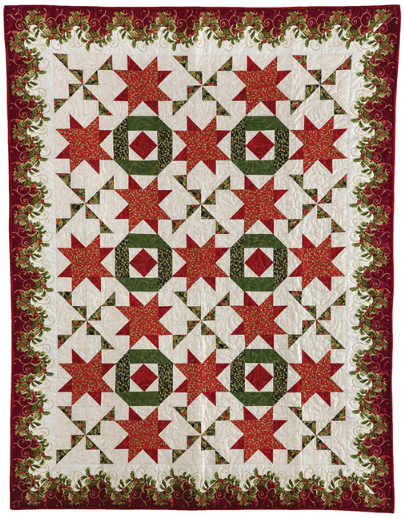 Click here to purchase the Jolly Good Night quilt. 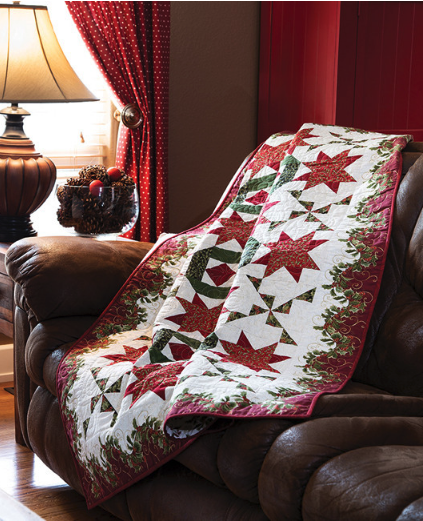 Go more traditional with the rich elegance of Carol Hanson's "Decked with Holly" quilt, featured in the November/December 2018 issue of Fons & Porter's Love of Quilting. 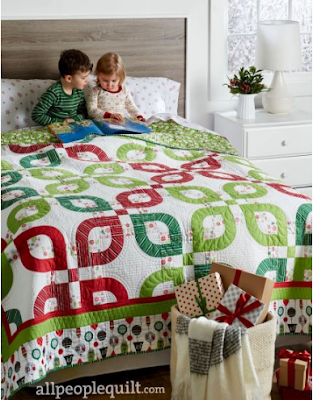 The quilt pairs simple stars with pinwheels and surrounds it with the gorgeous split stripe from Jackie Robinson's A Festive Season 2 collection. Click here to see Jackie's A Festive Season 2 collection. 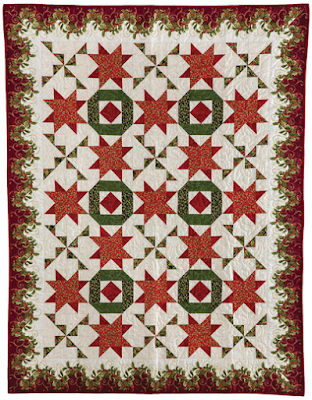 Click here to purchase the Decked with Holly pattern. 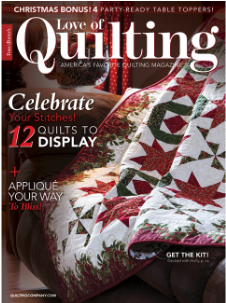 Click here to find Love of Quilting.